Travel theme: Tiny | Oh, the Places We See . 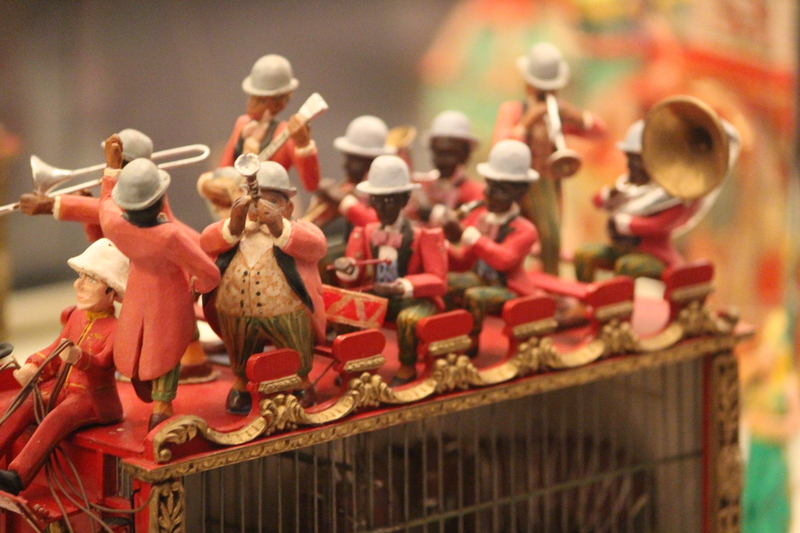 . .
Miniature band members atop band wagon at The Ringling Circus Museum in Sarasota, FL. While you may think of the circus — and who wouldn’t? — as the Greatest Show on Earth, there’s a whole world of tiny circus people and animals and tents sure to make you lean in to glass showcases for a closer look. It all happens at The Ringling’s Circus Museum in Sarasota, Florida. In one part, you can check out what’s under the Big Top at Howard Bros. Circus Model but don’t miss the Tibbals Learning Center where archives and tiny replicas of circuses around the world will thrill you to peanuts. Just goes to show — tiny things can bring great joy! For more tiny shots, head over to Ailsa’s blog Where’s My Backpack? for Travel theme: Tiny. This entry was posted in Florida, Travel Theme and tagged Circus Museum, Florida, miniature circus, Sarasota, The Ringling, Tibbals Learning Center, Travel theme: tiny. Bookmark the permalink. Miniature art really fascinates me. Valentina, I feel the same way. I love miniature dollhouses, too. Such tiny creations that take a lot of time to create. It is another disappearing art. Thanks so much. You would love The Ringling. Hopefully, I’ll get around to sharing more pics of the miniature Howard Bros. Circus. Best wishes for a wonderful 4th!